There are just 12 days until the Denver Nuggets will take the podium and wait to find out if the NBA lotto balls fall their way for the 2018 NBA Draft Lottery. If things go as perfect as possible, Denver could be granted a top-three pick. If not, the Nuggets will stay in the 14th draft slot that they currently occupy. 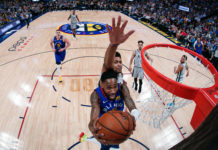 Considering that the Nuggets have just a 1.8 percent chance of landing a top-three draft pick — and an even more minuscule 0.5 percent at the top pick — Denver needs all the luck they can get to move up in the draft. 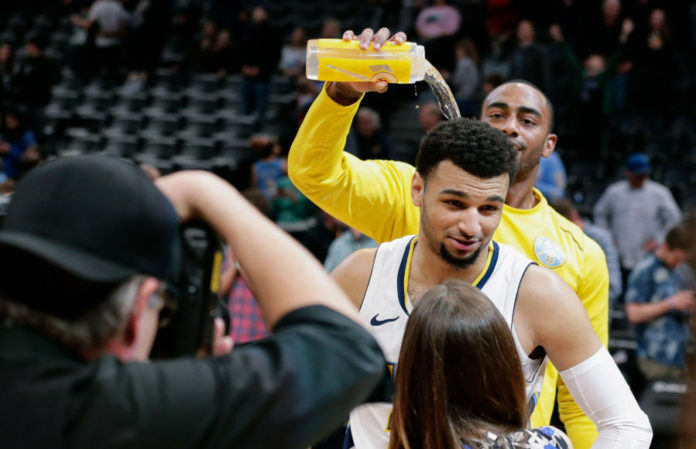 So, for some luck, the Nuggets are sending their first-round pick from the 2016 NBA Draft, Jamal Murray, a source tells Mile High Sports. The Nuggets are heading into the NBA Draft with their own first-round pick as well as the 58th pick (from the Golden State Warriors) and the 43rd pick (from the Los Angeles Clippers) in the second round. For a full breakdown of the Nuggets’ draft situation, read the Mile High Sports offseason primer here. There are multiple holes that the Nuggets will be looking to fill in the draft. Depending on who they lose in free agency, Denver will need help on the wing, a backup point guard, and potentially more help in the backcourt. 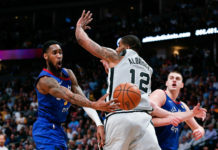 Hopefully, Murray is able to bring some much-needed luck to a Nuggets’ organization that has never moved up in the draft lottery in the history of the franchise. 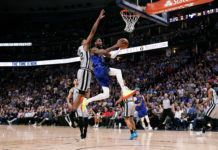 Getting a top-three pick and coming away with one of Luka Doncic, DeAndre Ayton, or Jaren Jackson could obliterate any idea of a ceiling for the Nuggets’ young and freakishly-talented roster.